Work is a fundamental part of people’s lives, so much so that it can directly affect anyone’s health. If a person feels stable in his work and his workday is going fast, and in harmony then his health will not be resented at all. But a person who goes to work every day thinking that it will be hell, that he has to put up with a toxic boss or does not feel comfortable within his work environment, then his physical and emotional health can be resented. A person who is not well at work may have more physical health problems such as headaches or stomach aches. It is also possible that emotions begin to appear, such as depression, anxiety, sadness. By going to a job where you do not feel well. 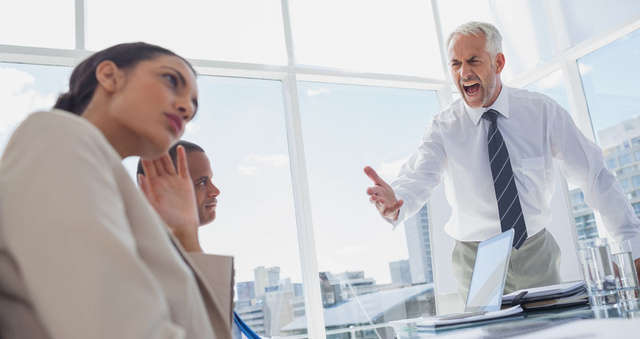 Sometimes, the dilemma in a job is to face a toxic boss, so you need to know how to deal with the situation so that it does not affect you too much, your health will be alright, and you can do your job well on a daily basis. When a boss is aggressive, the office is likely to go by objectives, making co-workers feel victimized and even feeling inferior to each other. A competitive environment because of the targets promoted by the boss can be a problem, in the long run, both for the productivity of the company and for the health of employees. What to do when your boss is toxic? The first thing you have to do is take a journal with you where you can write and document all the toxic behaviors of your boss, exceptionally those actions that may end up being harassment or even an illegal attitude. With a reasonable documentation of intermittent destructive behaviors, employees can approach human resources and explain what is happening and what they must support maintaining their job. But if the company does not respond or decides not to retaliate, harassed workers or toxic bosses may consider legal action. In this case, the work of a lawyer will be necessary. In case you do not want to take legal action, then you will have no choice but to leave that company and look for another job because your health will always come first. There are many toxic people in the world, many emotional monsters that will try to steal all your energy. Hence, it is necessary to keep calm and not to respond to prevent these actions from turning against you. You must be smarter than all that. The toxic boss can wear down your confidence and make you behave in anger. If criticism, blame or you try to attack your boss, you can turn everything against you. While you decide what to do, you must maintain precise limits and physical and emotional distance from your boss. If your boss is an anger addict, you should learn not to take his reactions personally because of his mental problem. If you leave the toxic environment, you should give yourself time to heal emotionally. Remember that if you quit that job because of your boss, you did your best in a grave situation, thinking about your well-being and your future.